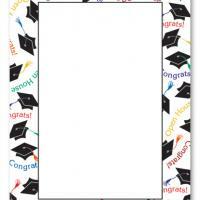 These free printable invitations let you send your invites on a luxurious and imperial background. 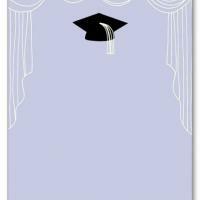 These printable graduation invitations feature a graduate cap on a light purple background with a fancy curtain traced out in white. 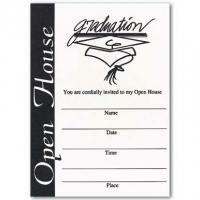 You can snag these cards for yourself, type the party details on the card (or write it by hand) and print them on good card stock. 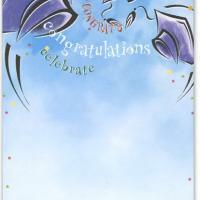 If you want to lend a more luxurious and elegant air to your graduation party, then these will be the cards for you. 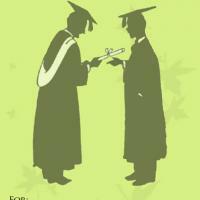 Print and enjoy today!